But there’s plenty of room for positive change. Hospitals are supposed to maximize healing and recovery — and both of those require adequate sleep. Which is why it’s concerning that most hospitals have done little to limit a dangerous combination of sleep-inhibiting factors, writes Austin Frakt, an associate professor with Boston University’s School of Public Health, in a new New York Times piece. “The key to a successful recovery after illness may be a less stressful, more supportive, more humane experience during hospitalization,” Harlan Krumholz, M.D., a Yale University physician, explained to the Times. That humane experience has to include sleep: Without adequate rest, patients are at increased risk for health issues ranging from reduced immune function and hypertension to delirium and mood disorders. Patients are often woken up every few hours for tests or check-ins with hospital staffers from different departments, the New York Times report explains. If those departments coordinated their care and visited patients at the same time, rather than one or two hours apart, patients would get several extra hours of uninterrupted rest and recovery. And patients who are at low risk are often on the same frequent vital sign check schedules as high-risk patients. If patients at low risk were switched to more intermittent vital sign checks, they could sleep more. These kinds of changes require increased communication between hospital staff and more individualization of treatment protocol. But Peter Ubel, M.D., the Duke University physician who suggests them, believes they could make a real difference in patient recovery. 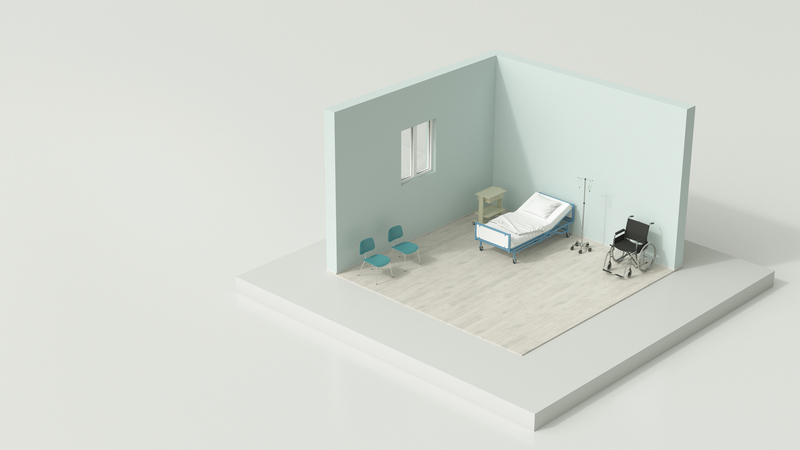 Something as simple as the installation of rubber floors or sound-absorbing tiles can decrease astonishing hospital noise levels and provide a more restful environment for patients, Frankt writes. Several hospitals have implemented this change, and more would do well to consider it. Many hospitals deal with patients’ sleep issues by prescribing sedatives. This tactic not only comes with its own dangerous side effects, like the possibility of addiction, but it’s also often unnecessary when hospitals employ a more holistic approach to improving sleep. “Small changes in hospital routines… can go a long way. A clinical trial to test them found that they significantly reduced the proportion of patients reporting hospital-related sleep disruptions, and they cut sedative use in half,” Frankt writes.